Advanced Identity Protector the best id theft protection tool ensures confidential information such as passwords, email accounts, credential details, credit card information and social security number etc. cannot be accessed by anyone except you. How Advanced Identity Protector Works? Using Advanced Identity Protector is extremely simple. Once this identity protection software gets installed, launch, and click Start Scan Now to identify any hidden privacy exposing identity traces. These traces contain sensitive information such as email ids, login ids, passwords, credit card numbers, contact information and social security number etc. Once Advanced Identity Protector detects these traces, you can either delete or can save them in the in-built Secure Vault. The scan results are neatly organized in distinct categories, you can choose what to delete and what to store in Secure Vault. 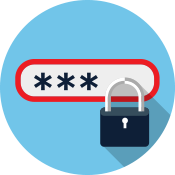 Once moved to Secure Vault, the information is encrypted and accessible via a password known only to you. Best id theft protection tool to protect, identity traces such as passwords, email ids, login details and credit card information. Traces such as social security numbers, credit card information, passport details etc. are conveniently moved to a in-built Secure Vault offered by the best id theft protection tool to prevent identity theft. 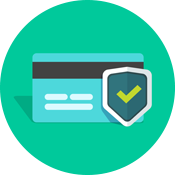 Financial details such as credit card information is protected by best identity theft protection tool from online spying. 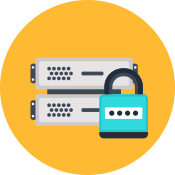 The information stored in Secure Vault is encrypted and is only accessible by the user. No longer remembering multiple passwords for different accounts. Use the in-built Secure Vault. All versions of Internet Explorer, Mozilla Firefox, and Google Chrome. All file formats such as doc, docx, xlsx, xls, pdf, txt, rtf etc. Unknown to many, personal information is stored in various locations on your computer. Email, Internet browsers, registry files etc. are full of sensitive personal information that can easily be misused to make fraudulent transactions. Unfortunately, it is quite easy for hackers to access and misuse these details and create numerous frauds. Once the information is leaked, it can be used in several ways such as fraudulent purchases, fake accounts in your name etc. This can not only create legal and financial problems for you but can also tarnish your reputation. Therefore, such sensitive information should be protected using an identity theft protection tool. For this one can use Advanced Identity Protector the best identity theft protection software.